About three weeks ago, we brought you all of the details on the DVD and Blu-ray release of director Joss Whedon‘s record breaking superhero team-up, The Avengers. Now we have the official trailer for the September 25th release, which you can check out below, along with all of the options to pre-order your copy. Check out the details on the DVD and Blu-ray options for The Avengers below! Pre-order your Collector’s set below, or scroll down for some more financially friendly options! BURBANK, Calif. June 29, 2012— Coming this fall, the third highest-grossing movie of all time and the #1 movie in the world, “Marvel’s The Avengers” assembles as you’ve never seen it before on Blu-ray 3DTM, Blu-rayTM, DVD, Digital and On-Demand platforms on September 25, 2012. In anticipation of this release, Marvel is also launching an all-new App in July – “The Avengers Initiative: A Marvel Second Screen App” (available for the first time on iPhone) – that gives fans unprecedented access to exclusive content building up to the home entertainment release. The announcement comes as “Marvel’s The Avengers” crossed the incredible $600 million domestic box office threshold on June 26 – only the third film in history to do so. It has now grossed an estimated $1.44 billion globally. 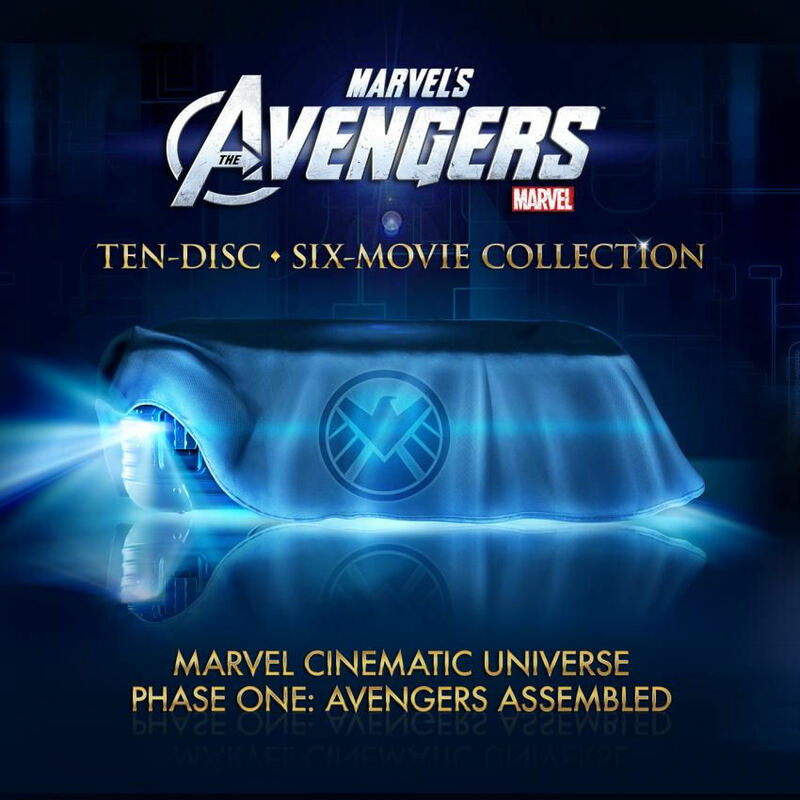 Providing viewers with the ultimate in-home experience, the premium 4-Disc Blu-ray Combo Pack provides 5-unique ways to enjoy “Marvel’s The Avengers” (on Blu-ray 3D, Blu-ray, DVD, Digital Copy and Digital Download of “Avengers Assembled” Music from and inspired by the film) and brings to life the Super Hero team-up of a lifetime in a whole new dimension on Blu-ray hi- def with stunning visual effects, superior sound and unparalleled bonus content. Extras include a gag reel, a first for a Marvel Studios film, the chance to hear from the cast and Joss Whedon on their experiences in bringing these larger than life characters to the big screen, a behind-the-scenes look at the groundbreaking visual effects and stunning cinematography, the creation of S.H.I.E.L.D.’s Helicarrier, Soundgarden’s “Live to Rise” Music Video, deleted scenes and more! Also for the first time ever, fans will be able to enjoy even more of the Marvel Universe via the all-new “The Avengers Initiative: A Marvel Second Screen App.” By downloading this onto a secondary device, consumers will be able to gain unprecedented access to exclusive content building up to the home entertainment release on September 25. Pieces will be unleashed bi- weekly in July & August and weekly in September leading up to a full immersive experience accompanying the film on Blu-ray. Content includes special access to the S.H.I.E.L.D. database, becoming a S.H.I.E.L.D. agent, invitations to “special missions” either remotely or in the field, links to character profiles, stories and scenes, interactive Marvel digital reader comic books and more. App owners will receive push notifications whenever new content is uploaded and available for their viewing. Marvel Studios presents “Marvel’s The Avengers”—the team up of a lifetime, featuring iconic Marvel Super Heroes Iron Man, The Incredible Hulk, Thor, Captain America, Hawkeye and Black Widow. 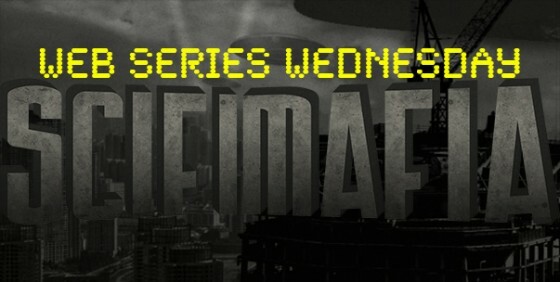 When an unexpected enemy emerges that threatens global safety and security, Nick Fury, Director of the international peacekeeping agency known as S.H.I.E.L.D., finds himself in need of a team to pull the world back from the brink of disaster. Spanning the globe, a daring recruitment effort begins. Starring Robert Downey Jr., Chris Evans, Mark Ruffalo, Chris Hemsworth, Scarlett Johansson, Jeremy Renner and Tom Hiddleston, with Stellan Skarsgard and Samuel L. Jackson as Nick Fury, and directed by Joss Whedon, “Marvel’s The Avengers” is based on the ever-popular Marvel comic book series The Avengers, first published in 1963 and a comics institution ever since. “Marvel’s The Avengers” is presented by Marvel Studios in association with Paramount Pictures. The film was produced by Marvel Studios’ President Kevin Feige and executive produced by Alan Fine, Jon Favreau, Stan Lee, Louis D’Esposito, Patricia Whitcher, Victoria Alonso and Jeremy Latcham. The story was by Zak Penn and Joss Whedon and the screenplay was by Joss Whedon. Distributed by Walt Disney Studios Motion Pictures, the film smashed the industry record for the biggest domestic opening of all time with $207.4M, crossed the $1 billion global box office threshold in 19 days, and currently stands as the #3 global and domestic release of all time. Marvel Entertainment, LLC, a wholly-owned subsidiary of The Walt Disney Company, is one of the world’s most prominentcharacter-based entertainment companies, built on a proven library of over 8,000 characters featured in a variety of media over seventy years. Marvel utilizes its character franchises in entertainment, licensing and publishing. For more information visit www.marvel.com. For more than 85 years, The Walt Disney Studios has been the foundation on which The Walt Disney Company was built. 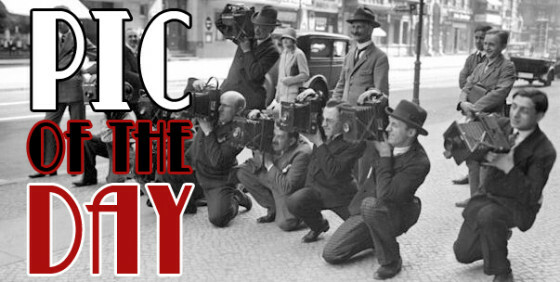 Today, the Studio brings quality movies,music and stage plays to consumers throughout the world. Feature films are released under the following banners: Disney, including Walt Disney Animation Studios and Pixar Animation Studios; Disneynature; Marvel Studios; and Touchstone Pictures, the banner under which live-action films from DreamWorks Studios are distributed. The Disney Music Group encompasses the Walt DisneyRecords and Hollywood Records labels, as well as Disney Music Publishing. The Disney Theatrical Group produces and licenses live events, including Disney on Broadway, Disney On Ice and Disney Live!. The Avengers directed by Joss Whedon and starring Robert Downey Jr., Scarlett Johansson, Chris Evans, Chris Hemsworth, Mark Ruffalo, Samuel L. Jackson, Jeremy Renner, Clark Gregg and Tom Hiddleston is in theaters now, and available for pre-order on DVD and Blu-ray.